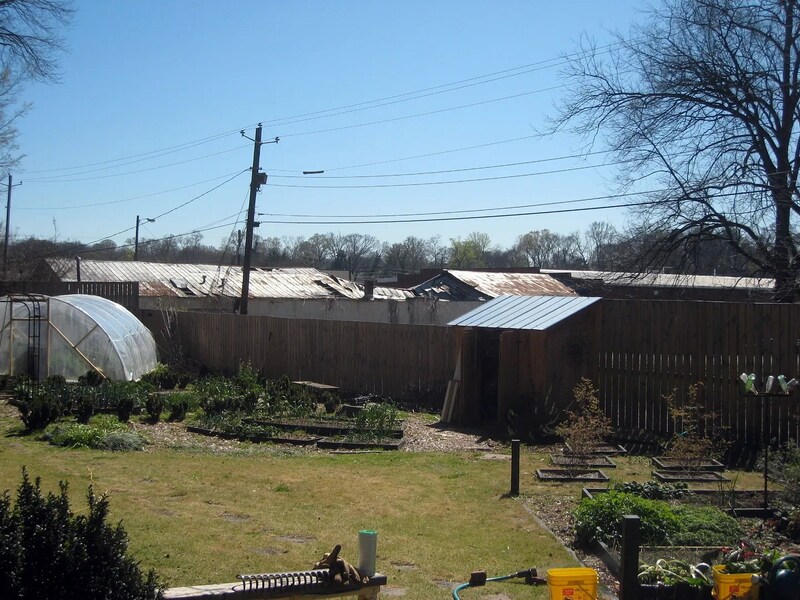 The (f)ugly metal building that can be seen over the fence in the back reaches of my garden has been slowly but steadily disintegrating over the 25 years I have been observing it from my back window. It is a back add-on to the buildings of a plumbing supply outfit that operates on the commercial thoroughfare that runs perpendicular to my street (obviously just a half a block away). It is actually much worse than this angle suggests; most of the section on the far side of the ridge line is at least partially down. 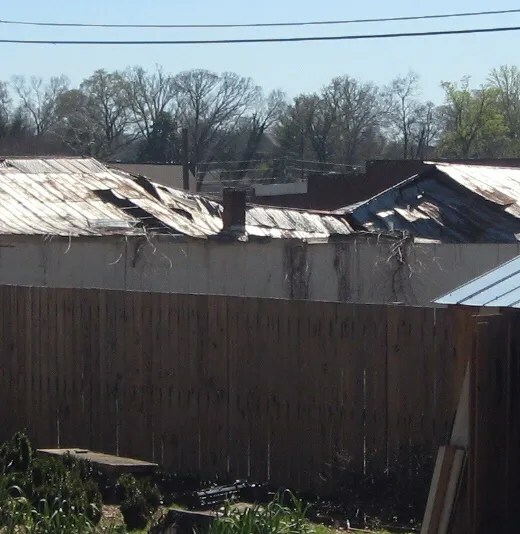 Nothing was being warehoused in the building as far as I can tell and now the building inspector will undoubtedly force the owner to do what should have been done several years ago and remove the structure’s remains. It also happens to be 3 or 4 doors up from the home may father grew up in; it is very close yet a river and a shopping center are in between (not to mention the heap of rotten wood and rusted metal closest to me). That’s all for this post- I promise to get back to gardening subjects again shortly.